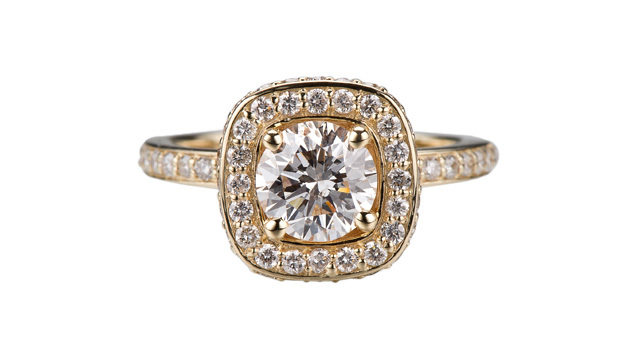 Diamond engagement ring shopping should be a joyous occasion. 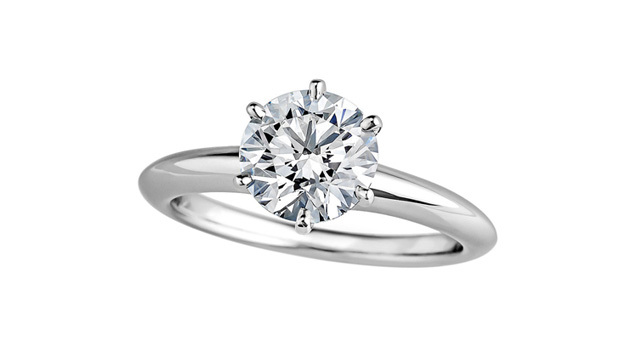 Our tips will help you make sure she loves her ring. If she doesn't wear rings, estimate in the following manner: The average ring size in the U.S. is 6 (based on the 'average' U.S. female being 5'4" tall and weighing 140 lbs.) If she's more slender, or fine-boned, her ring size is probably in the 4 1/2 to 5 1/2 range. If she is heavier, larger-boned or taller, her ring size is probably in the 6 1/2 to 7 1/2 range. It's always better to buy a ring a bit bigger than you think she'll need, because sizing a ring down is much easier than increasing its size. These diamonds feature a range of shapes and cutting styles. 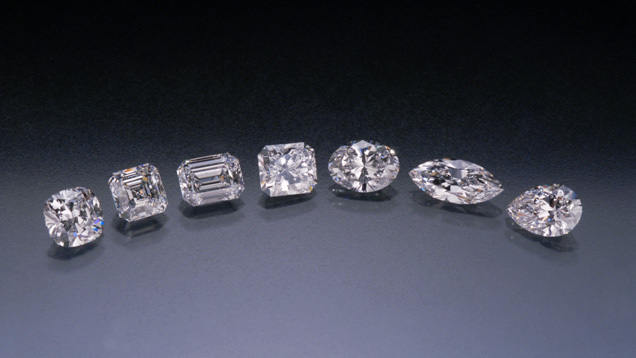 From left: cushion cut, Ascher cut, emerald cut, princess cut, oval shape, marquise shape, pear shape. 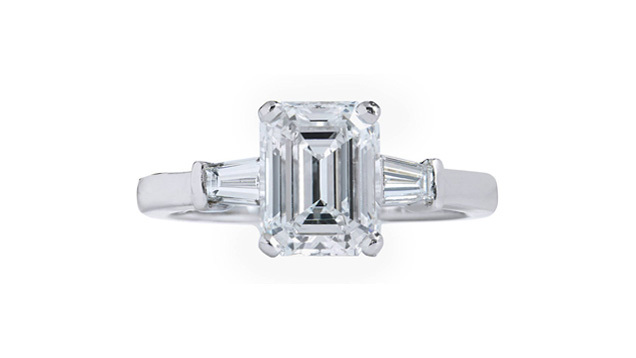 Courtesy of Lazare Kaplan Diamonds. You don’t have to go it alone. 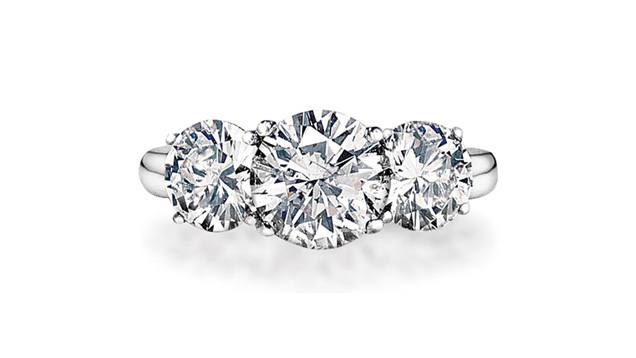 A good jeweler will ensure that your engagement ring buying process is stress-free. 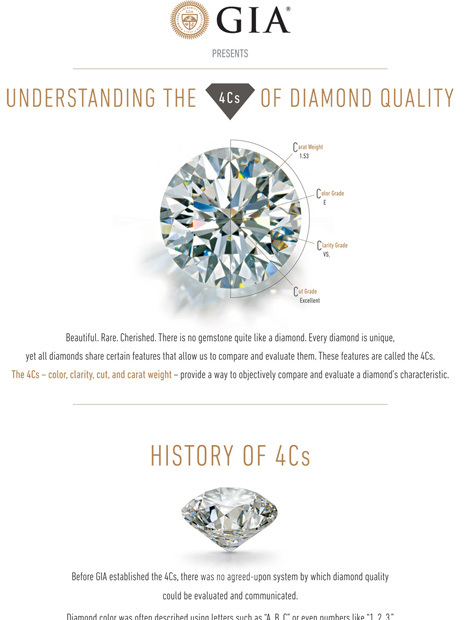 He or she will educate you about the 4Cs of diamond quality, answer your questions in detail, and help you narrow your choices to those that fit your intended’s tastes and your budget. Look for a jeweler with professional training and a good reputation – asking friends or relatives for recommendations or seeking a referral from a jewelry association is a good place to start. Learn about the store’s return policy. And be sure to ask for an independent grading report, like those provided by GIA, prior to purchasing a diamond to validate the quality of your purchase. GIA’s Retailer Lookup can help locate a jeweler in your area who carries GIA graded diamonds and has GIA trained associates on staff. Buying an engagement ring can be easier than you think, if you educate yourself about diamonds and the 4Cs, know her tastes and find a good jeweler to work with. Enjoy the process and imagine the look of awe, surprise and love you’ll get when you put that perfect ring on her finger! If you’re wondering why you’re buying a ring in the first place, check out our timeline that charts the long history of the engagement ring.